We're having a low key Christmas at our house. Not for us, the oversized plastic tree of years gone by. 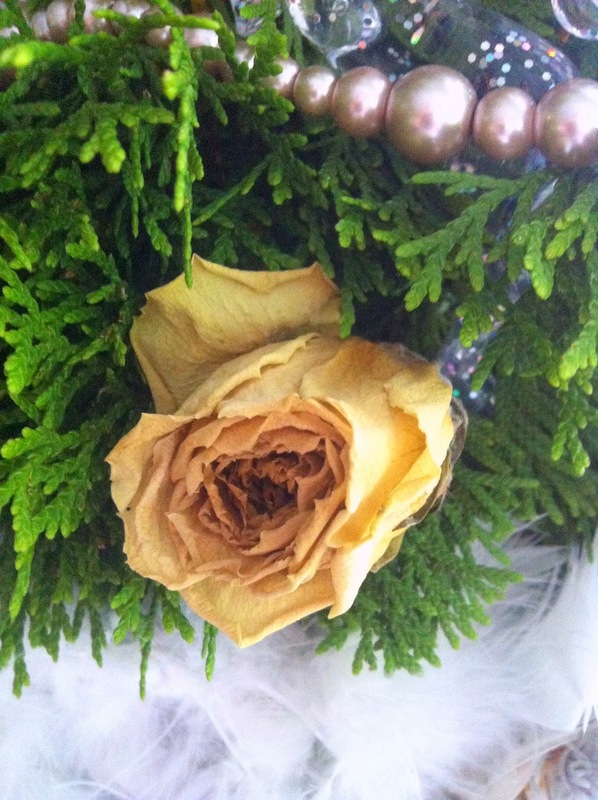 No sequinned or blinged out wreaths either. Not a scrap of tinsel to be found. Instead it's a German Ivy, trained over a bamboo hoop for the last several months. An ironwork Eiffel Tower and some charmingly rustic jingle bells tied with tea dyed muslin providing a nod to a traditional Christmas. 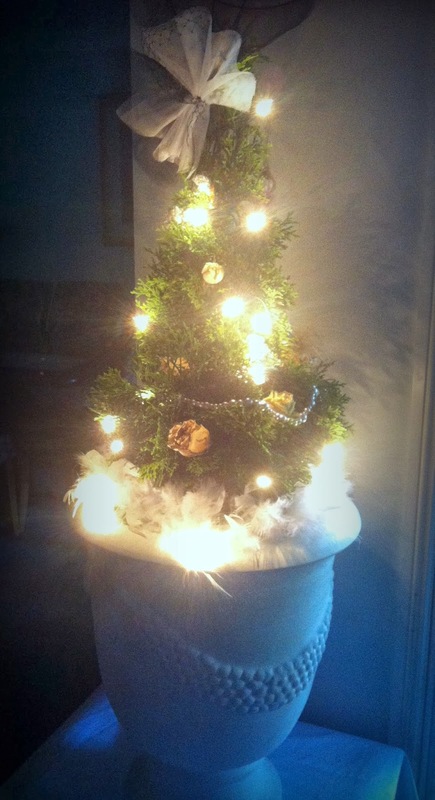 A baby Thuja Conifer, perhaps all of 80cms tall, is displayed in a perfectly proportioned white French Urn, white feather boa at it's base, tulle and hailspot netting fascinator, resurrected from my daughters dance costume recital as tree topper. She and I made some miniature ornaments fit for a miniature tree. Little tags that say 'Peace on Earth, Goodwill to all Men' in French. 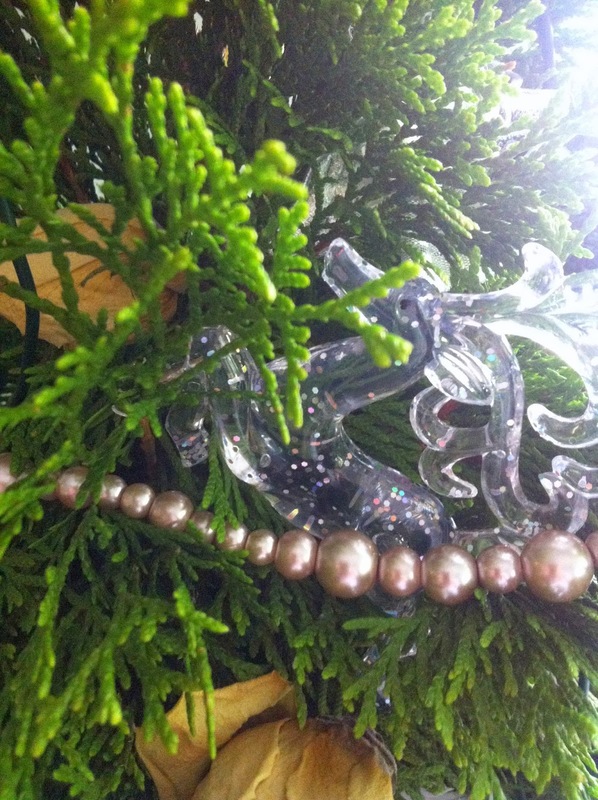 We threaded pearl glass beads in shades of pewter on to bracelet elastic, and added tiny feathered angels and glass reindeer to perch amongst the foliage. 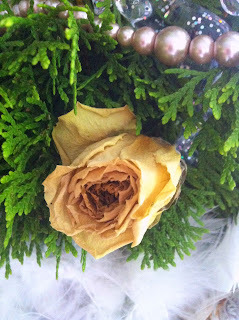 White rosebuds from a bouquet from Husband, are dried and repurposed continuing our neutral theme. Fairy Lights add the mandatory Festive glow. 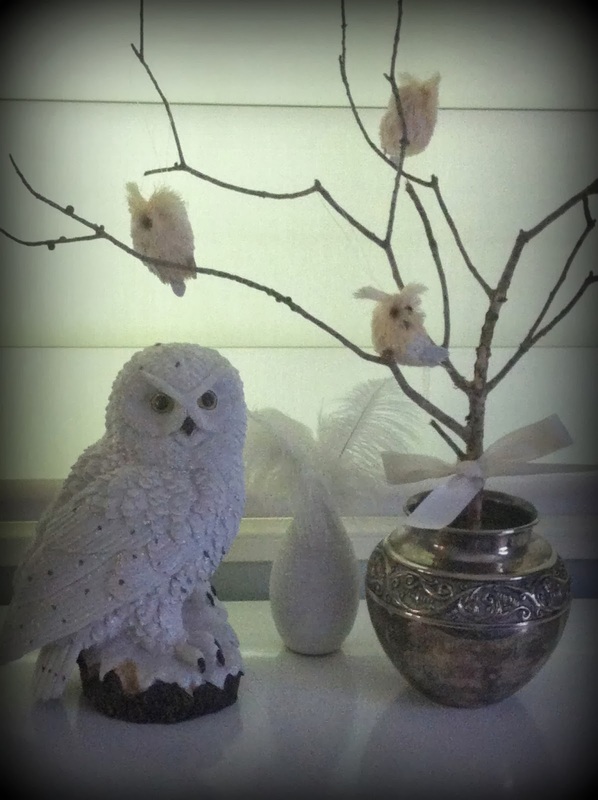 And to greet our guests in the entry hall, a twig tree in a silver vase, prettily adorned with miniature white owls, a linen bow, and a glittering life sized owl to keep it company. No green or red. No loud or brash. 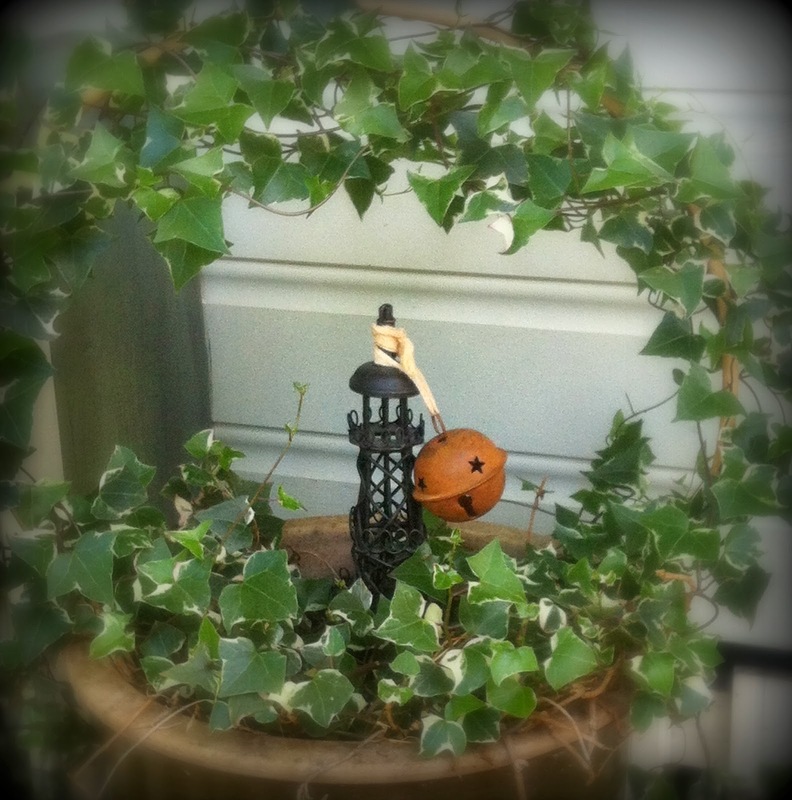 No Santa or Nutcracker.